Is it time to rethink the metaphors used to describe volunteers? Volunteers are often called the ‘heart’ or the ‘backbone’ of the Movement because they have passion and they do most of the heavy lifting. Is it time to rethink these metaphors? Wiem Chamsi, 24, has no shortage of motivation. A masters-degree student in management, she is head of dissemination at the Tunisian Red Crescent branch in the northern seaside city of Sousse. But that’s not all. She is a trainer for Junior Chamber International, a solar-energy ambassador, a founder Youth for Change, a club that deals with sustainable development and a project manager with Enactus International, a competition focusing on social impact. 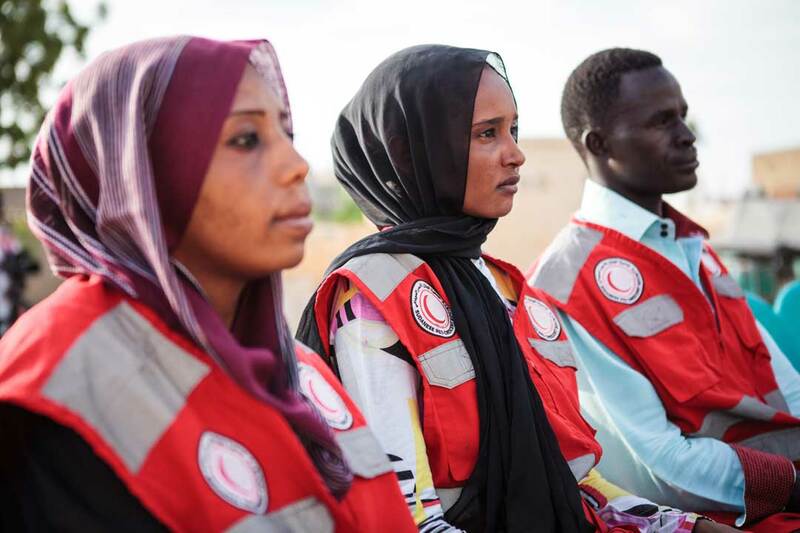 “The Red Crescent spirit is: you are passionate about the things you are doing, coming with ideas and enthusiasm to put things into action,” Chamsi says. But people need to feel enabled to put their passion and ideas into action, she adds. The digital revolution has given many people a sense of having a voice, a feeling of empowerment. Online tools allow people to organize, start businesses, raise funds or get involved in numerous social issues much more easily, often without traditional bureaucracies or structures. Matt Baillie Smith refers to this as ‘volunteer agency’ — the ability to take initiative or at least play a role in shaping the course of action — and it cuts across all the big trends affecting volunteering today. 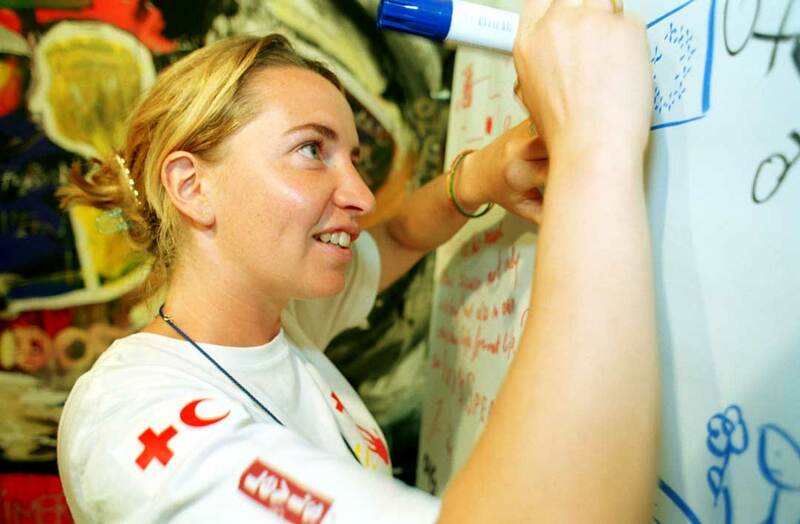 “People always say that volunteers are ‘the backbone of the Movement,’ but I’m always surprised they are not also referred to as ‘the head,’” says Baillie Smith, a professor of international development at Northumbria University in the United Kingdom, who has co-authored several key studies on volunteering for the IFRC and the Swedish Red Cross in recent years. In any case, he says, volunteers are leading, even if they are not always recognized for it. That leadership takes many forms. Carlos Rodrigo Ballesteros manages a local branch in Cali, Colombia and is helping to create new models of community volunteering in order to engage young people in violence prevention (see his story below). This new type of volunteering is developing at community level and not through formal institutions, he says. “This is something we as a Movement have to move towards… working with the community and building a base for future volunteers,” he says. This is just one example of how volunteers are already leading in a changing world. The question is whether the rest of us will follow. According to Baillie Smith, there are both ethical and practical reasons to do so. 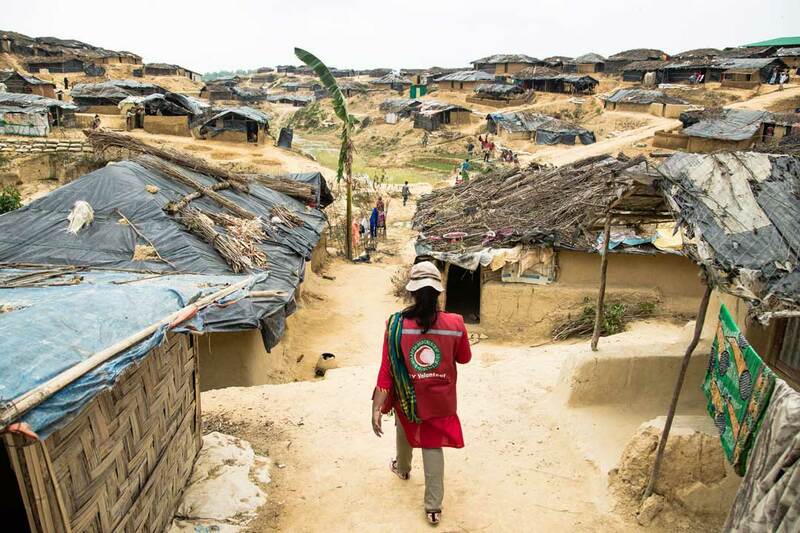 “The ethical reason is that, increasingly, volunteers are used to legitimize international aid activity on the grounds that they constitute local ownership of that activity — they become part of the aid sector’s local ownership agenda,” he notes. “But that only works if we are actually listening to what they have to say and consider what they have to offer. Even in remote areas, the digital revolution is reshaping what it means to be a volunteer. The digital volunteering revolution is not only unfolding in high-tech, urban centres. 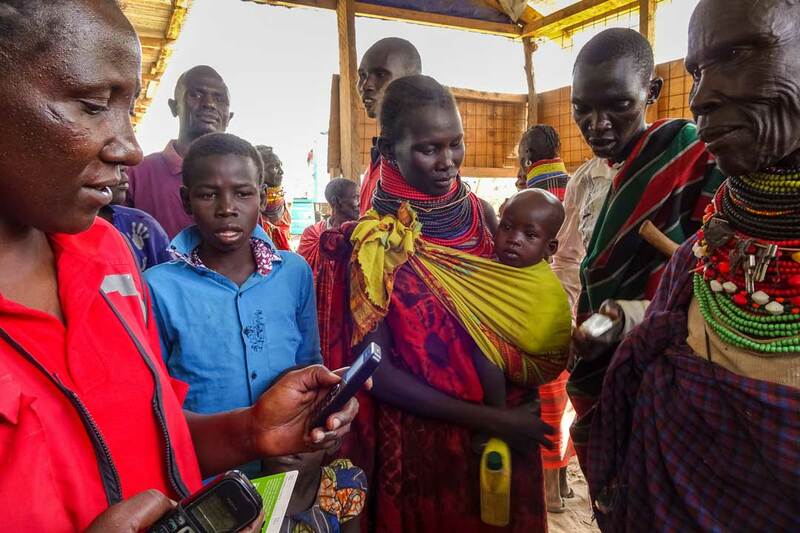 In the remote Kenyan county of Tharaka Nithi, Kelvin Njenga is helping to transform the Kenya Red Cross Society’s local branch into a test bed for digital innovation and revolutionizing what it means to be a Red Cross volunteer. A freelance graphic designer, Njenga was the brains behind the ‘I-Volunteer Crew’, who use social media to report emergencies and share information on important campaigns and issues. “In Tharaka Nithi, there is a cholera outbreak and Kenya Red Cross volunteers are taking care of people and doing door-to-door campaigns. But even though we have these outbreaks every year, most people [who aren’t directly affected] don’t know about them. Also, when we go to the villages to inform the people, some of them are not around. But we know that a lot of people are online. When you look at issues that people are really interested in, like politics, you see they are active in online forums. Just because it’s a rural area, that doesn’t mean people cannot access the Internet. So if we create online, digital campaigns, it will be more visible, cheaper and more efficient. One of the major challenges we face is lack of resources. Our Red Cross branch does not have a car. So if we go to the villages, we have to use our own means and it’s quite expensive for youth like me who are not employed. But if it’s done digitally, we create a message and ask people to help create awareness by sharing. These two statements speak volumes about what it’s like to be on the front lines of crisis in the 21stcentury. Both quotes — from Red Cross and Red Crescent volunteers in different countries — were heard during listening sessions for a global study called the Volunteering in Conflict and Emergencies (ViCE) Initiative, conducted by the Swedish Red Cross and the Northumbria Univeristy in the United Kingdom. The first quote, from a female volunteer, reflects the harsh reality that volunteers can be hurt by forces outside their control: they can be targeted, or caught in the crossfire between combatants. Or they can also be injured or killed by accident or due to forces of nature. The second quote, from a male volunteer in a different country, reflects another sad truth: that volunteers facing these dangers do not get as much protection and support as they should. The ViCE study is an effort to understand these realities and the complex dynamics volunteers face while working in emergencies. A three-year collaborative project, the ViCE project centered around listening studies facilitated by National Societies in six countries: Afghanistan; Honduras; Myanmar; Sudan; South Sudan and Ukraine. While most global research on volunteering has focused on volunteers in relatively affluent countries helping people more needy, the ViCE Initiative explores the complexities faced by local volunteers who themselves are affected by the same tragedies befalling the communities they serve. What kind of support and protection do volunteers need? Solutions range from ensuring adequate training to helping them avoid potential hazards, accessing insurance in cases where the volunteer is injured or killed and psychosocial support to help them deal with the trauma and stresses of their work, among other things. Nicely put and lots here that resonates – in particular how to shift views of volunteers from unpaid labour/aka the ‘backbone’ of the movement to valuable members of the same team with agency/aka the ‘brain’ of the movement.